In January, we broke the news that prolific Silicon Valley angel investor Dave McClure was to set up its own venture capital fund. Yesterday, the man filed for the fund with the SEC, providing us with more details (hat tip to FormDs.com). The name will be 500 Startups – McClure has long called himself the master of 500 hats – and the initial fund will amount to max. $30 million according to the filing. McClure has turned to 99 Designs to come up with a logo for the fund (my favorite so far). 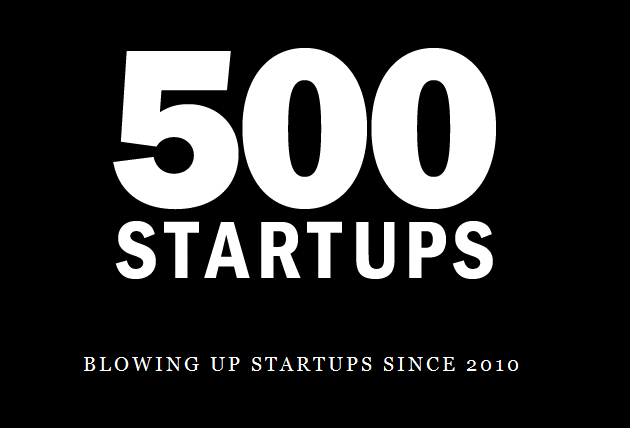 500 Startups is a new, edgy, risk taking seed fund which invests in early stage consumer internet companies. Incubator/seed investment funds are popping up left and right and we’re looking to differentiate ourself through edgier design. Our founder likes to swear. In public. A lot. Think Ari Gold, but for tech companies and without a suit. We are not — *not* — your typical fund composed of a bunch of stiff white guys sitting around a board table. We’re young. We’re diverse (Women! People of color!). Our investments are blustering balls of sleepless eagerness, And the markets we’re looking to dominate are murky and emergent. For your reference: McClure has been investing in early stage startups for years. He is a direct angel investor in a half dozen or more startups, including Mint, Simply Hired, Mashery, bit.ly, UserVoice, SlideShare, TeachStreet and others. And he has invested in dozens more through fbFund, a $10 million Facebook investment fund backed by Founders Fund and Accel, and FF Angel, a Founders Fund early stage fund.